Generally speaking, the word "tea" refers to a hot beverage that is prepared by infusing or brewing/boiling/decocting the dried leaves of the Camellia sinensis plant. It is also possible to prepare cold-brewed tea (a beverage made without the use of hot water) and cold or iced tea (tea that is served cold rather than hot). The word "tea" may also refer to the leaves used to prepare a beverage of tea, or to the tea plant itself. These leaves are usually dried and may be whole leaves, compressed leaves, broken leaves, crushed leaves, powdered leaves (such as matcha green tea) or steeped and dehydrated leaves ("instant tea"). Many people refer to herbs that are infused or boiled in hot water as "herbal teas," but these are more accurately known as tisanes. "Tea" may also refer to several different kinds of social occasions, meals, and snacks. Perhaps the best known amongst these are British meals/snacks called "tea," including afternoon tea and high tea, full tea, and light tea. In England, Australia and New Zealand, the main evening meal is often known simply as "tea." (The influence of this kind of even has led to the creation of styles of food named after tea meals, such as "tea sandwiches.") 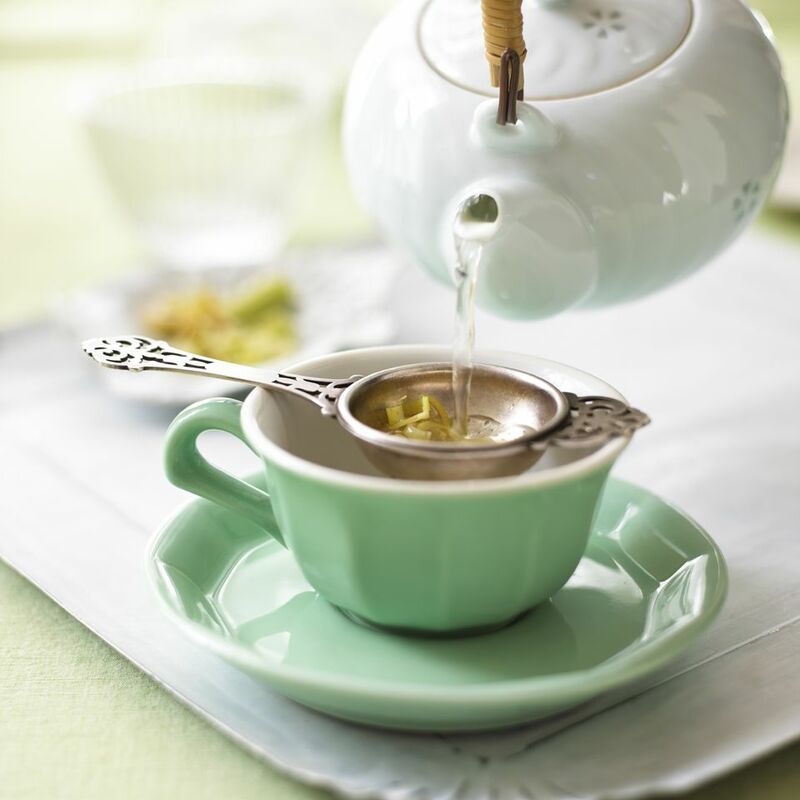 Similarly, receptions or gatherings at which tea is served may be referred to as "teas." (For example, some wedding party gatherings are known as "wedding teas" for this reason.) Other examples of gatherings known as "tea" include chanoyu and gongfu cha. Occasionally, "tea" is used to refer to beef bouillon. It is also a dated slang word for marijuana. How to Grow Herbs for Herbal "Teas"